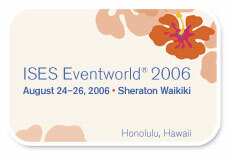 We will be closed for the week of August 21st for the annual ISES Eventworld held in Waikiki Hawaii. We are working on our CSEP, Certified Special Events Professional and attending the annual conference. My friends over at Absolute Rentals have recently added chiavarri chairs to their inventory. They currently rent for $6.75 per chair. This is $1.25 less than anyone else in town. 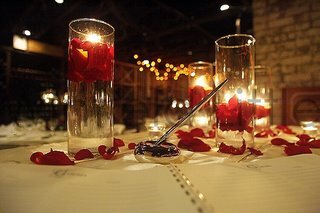 My lucky client Amy and Paul (the San Antonio couple) just ordered their chairs for their March nuptials. Coincidence worth mentioning: We currently have three couples who are Amy and Paul. Wedding planned in a few weeks. 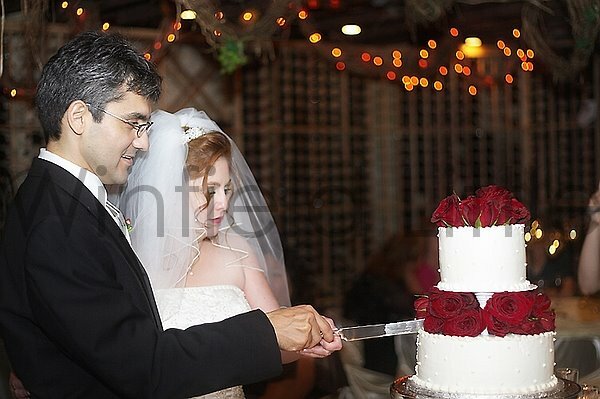 This is the wedding of Dr. Jose Reyes and his lovely bride Melissa. This wedding was last August on a Wednesday. I remember them fondly because I just ordered their one year anniversary cake. 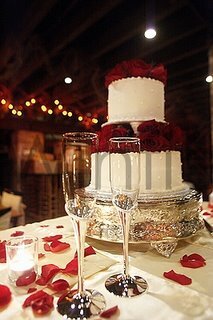 All client’s of A Regal Affair receive a small six inch cake similar to what they had on their wedding day at their one year anniversary. Last year, they were married at the end of August. They will be vacationing on their anniversary, so Jose requested it early. I just love a good husband, always thinking ahead. I loved this wedding, because it was small, intimate and the bride let us have carte blanche on location, floral, everything but her dress. She is a busy professional and had complete faith in us. She knew she wanted deep red roses. The wedding is at Mission San Jose with an intimate dinner reception at Zinc, in the wine cellar. These fab photos were taken by my favorite wedding photography couple, Karen and Winfield Little. Enjoy! 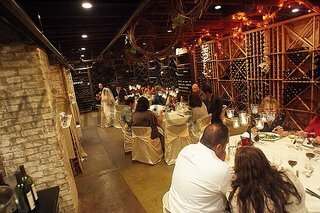 Here’s an update to the new venue called Granberry Hills located in NE San Antonio. It is almost ready! I have been anxiously awaiting the completion of this grand place for a couple of years. Construction, weather, you know the routine. Our first event out there is September 16th. We have a lot in place for this event. 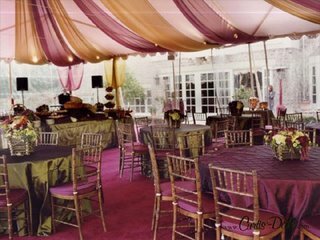 Custom linens in light apple green and lilac. We will accent with some dark purple on the buffets with large arrangements created by Melissa White of Botanika. We expect a huge crowd of about 350. Steven Pizzini will light the place up with violet and green lighting. Anne Marie’s catering will provide all the delicious food. And they will dance the night away at this Texas Style celebration to the sounds of The Big Time out of Austin.